April 1st. What an appropriate day; considering all the confusion and chaos of Brexit that is filling our newspapers, TV and media screens, to announce a series of public price increases. On Monday it was confirmed that there would be a number of price rises covering everything from council tax, water, energy costs, prescriptions, air passenger duty, car tax … even TV licence bills. And there, tucked in amongst all the other bad news, NHS dental charges across England are going up by five per cent. Maybe, after all, going to a private dentist is not such a bad idea. Carisbrook Dentist is one of the region’s leading private dentist practices and we have developed a convenient Payment Plan that means it has never been easier or more affordable to enjoy all the benefits of a private dentist service. Not only that, but if you do join our growing list of highly satisfied patents you know that you will never have to wait for an appointment. Instead of having to wait days, maybe even weeks to see a dentist, at Carisbrook we do our very best to see you that very same day. Now what is that worth? The other very important point we would like to make is that because we are a private dentist practice we can devote more time to our patients. We are not restricted by NHS rules and for instance when we conduct a routine examination we probably spend over half an hour … instead of a rushed ten minutes. 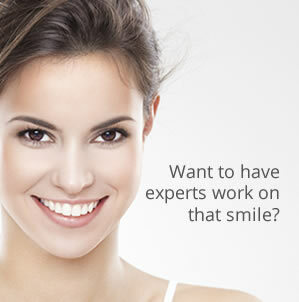 You may be concerned about the cost of going to a private dentist, but at Carisbrook there is no need to worry. We have developed a really affordable Payment Plan that makes it easier than ever to ‘go private’. Our Payment Plan starts from only £11.50 per month (that’s just 37 pence per day) for adults and only £6 per month for children under 16 years of age. Now add in a Free First Consultation, plus the chance to look round our practice and meet our staff, and you can really appreciate all the many benefits of switching to a private dentist like Carisbrook. If you would like to know more about our clinic, our services and our Payment Plan, then please do not hesitate to contact us. You can call us on 0161 951 7295 or alternatively you can contact us by using the online form on our Appointments page.